Mike's notes: Regular expressions? Check that tool. I'm playing with the small pet. I'm sure it will not grow big, just a trinket to shake off rust fro the joints. Anyway, I need to develop some sophisticated regular expression, where I'm a total nub. Hey! we have the internet, and someone has solved the same problem already; just google it. 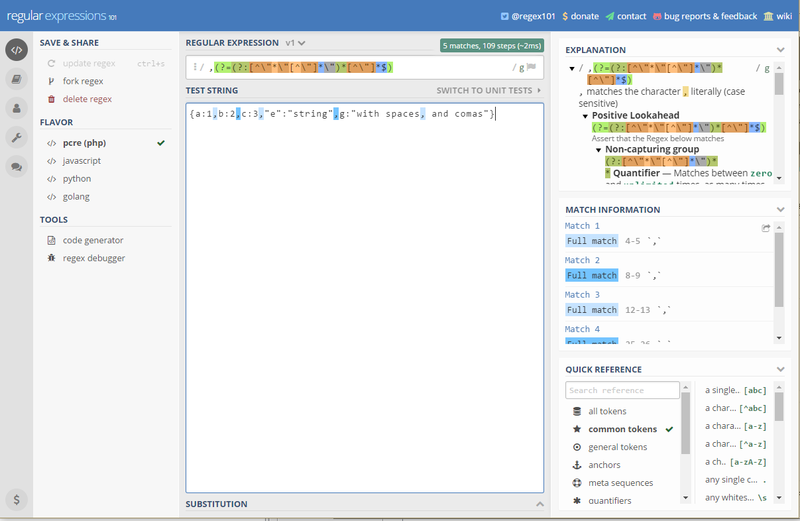 Behold the ultimate RegEx tool: Regex101.com. The site is awesome, look at this screen: It's a pro-scale RegeEx IDE. Explanations, tips, parsing results, code generators for the most common languages, and debugger, Carl! 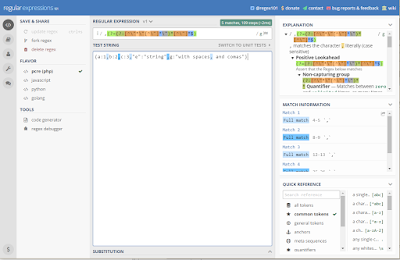 Regex Debugger!